The Spring Series gets back under way after a week off for Easter. Round 4 takes place at Central Cycle Club in Central Village, Ct. Always a favorite with racers and spectators get there early for a good spot in the pits. The Pro/Expert classes have been stacked at the first few races making for the best outdoor motocross action this side of a National. Breakfast will be served in the clubhouse and the CCC chefs always do a good job. The Lions Club and a food trailer will have lots of choices for lunch. Bring your family and friends for a fun day at the races. 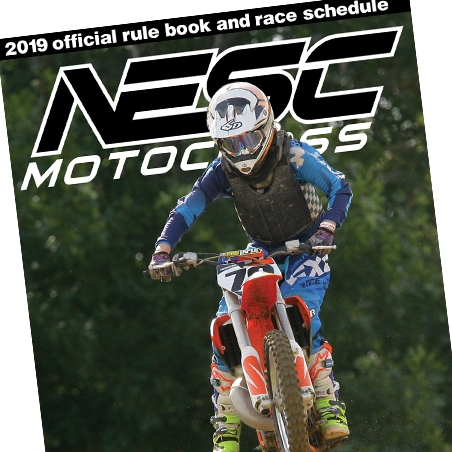 Connecticut state law requires racers be at least 13 years old to race motocross. Connecticut state law requires racers be at least 13 years old. Sign-up - Saturday 5-6:30 PM and Sunday 7:00-9:00 AM. 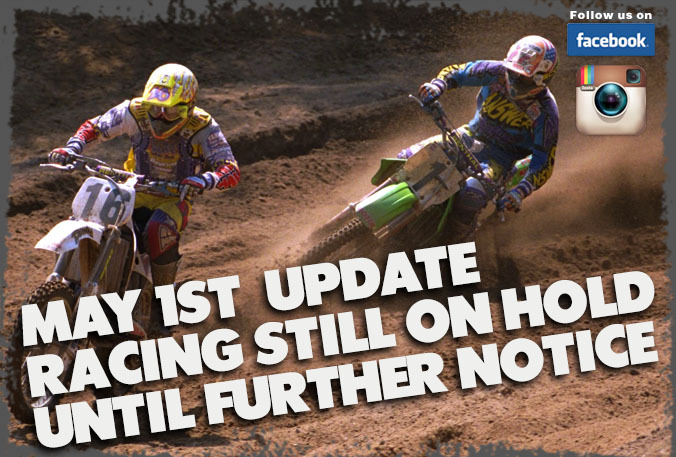 All the tracks will be requiring riders to show their NESC card as well as their proof of medical insurance card. Gates open on Saturday morning (please no overnight camping this Friday) Practice sessions may be broken up by class if the turn-out warrants it. In order to be more in line with the age requirements with other organizations we've changed the Youth Class age definitions for this season. Now whatever age you were on January 1st is your NESC age. This applies to all the Youth Classes from the 50cc up to the Youth A. Please don't leave this stuff in the pits when you leave Crow Hill(or any track) carry in and carry out. Renew your NESC membership or sign-up for a new one on-line now ! Families are ale to use one form for multiple riders by clicking Yes when asked if they'd like to add a second, third, fourth rider. Don't get stuck in that long line of people signing up at the first race, join today! One day riders get your info into the system! Help save us some time on race day by submitting your information using this super easy on-line form. You'll still need to print, sign and have notarized this short wavier and provide payment for your membership in person, at the track. All NESC members must own a transponder, the NESC has less than 50 units available to rent to one day riders. Please make sure to order one in time for the first race and if you already own one please charge it. Note: the orange transponders will still work, please make sure those are charged and that your subscription is still active. More info and ordering info is at Speedhive. 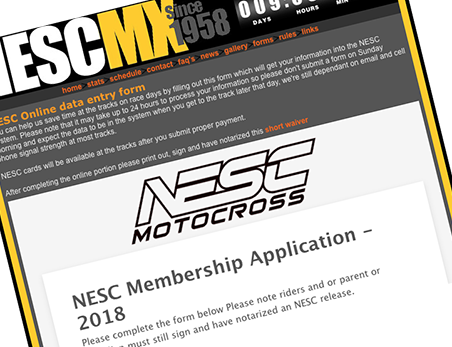 Get a jump on next year and save your number by renewing your NESC membership today. Stay up to date on all the latest info from the NESC, subscribe to the newsletter by clicking here. Click on any name highlighted in orange to send that person an email. Mylaps has finally given riders some updates and now they have a “fix” for the older version X2’s that would not connect/charge. The NESC has a few of these “fix” packs available at sign-up. Newer versions will not have the issue. Also there are instructions on how to tell if the X2’s are activated and how much time they have left. Remind everyone to charge their Flex and Classic transponders for at least 12 hours before race day. Newer X2’s require only 4 hours to charge. If they are blinking fast red then they need to buy more time directly from Mylaps; their subscriptions are expired or for the new X2 units, they need to be activated before use. Expired Flex units: You must purchase more time on Mylaps.com and then connect the transponder through your computer to the Flex Manager program on the Mylaps website and activate them. 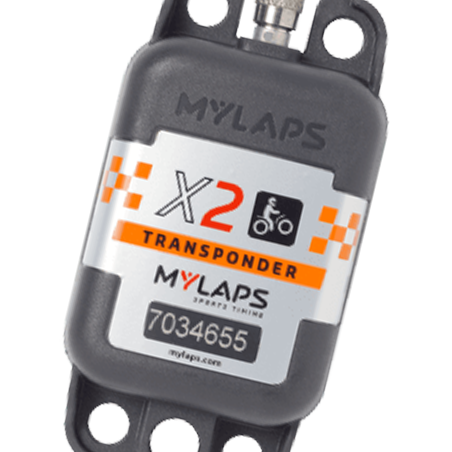 For fast blinking X2 units they must be activated directly from the Mylaps website, by logging on to the rider’s Mylaps account. Also it is very important to understand that the parental consent form listed is for parents that are sending their minors to race events where they will not be present. They must name the person acting as guardian for the day, it must be notarized and we need a new form for every event. We have no blanket minor releases at NESC. Did you know that the NESC is a non-profit corporation? The NESC runs off only the funds collected from membership fees (either full year or one day) and the transponder rental fees. The NESC does not make money from the race entries and gate fees at the races. Did you know that one dollar from every entry goes into the Tom Timonen Fund that is in place to help riders injured in NESC races? This fund awards $2,000.00 annually to college students meeting NESC requirements. Eligibility requirements: Must be a NESC member for at least two years in good standing and a full time student at a fully accredited college, university, or technical school. 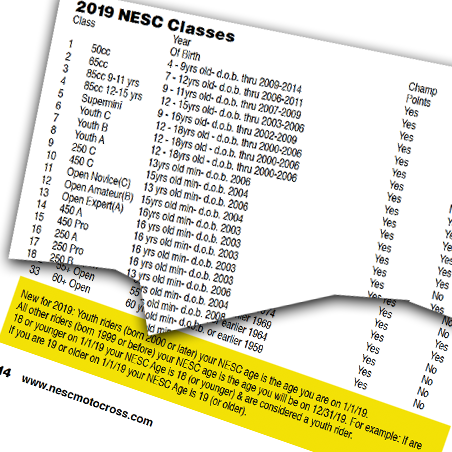 Rider must have attended at least 10 NESC races in the current year. Compose a cover letter to NESC requesting consideration for the NESC Scholarship program; naming the college/course of study you plan on attending. A copy of your final grades from the most recent term. A letter from your college registrar’s office confirming acceptance to the school. Please send the above requirements by November 1st; we will make the decisions for awards just prior to the annual banquet. Deadline to apply is November 1st of the current racing year. Like the NESC page on Facebook to see last minute updates and other important info. Last year $25,000.00 was paid out at the Awards banquet to the Expert and Pro riders in the top 15 and this year with bigger turn outs it could be even more. Not 3, not 5, but all the way back to tenth place*! No New England series pays out what the NESC races pay out. *Riders must place in the top ten of a moto (combined expert and pro to win cash). Expert class riders are also eligible for trophies in their class. If you have changed your address this year, please notify the NESC by email ASAP.